John Carpenter, Producer Sandy King, Actors Thomas Dekker, Lindsey Haun, Cory Dorkin, Danielle Keaton, Meredith Salenger, Karen Kahn, and Peter Jason, and Effects Artist Greg Nicotero are all on hand to give us a behind the scenes at the making of one of Carpenter’s lessor films. We get some fly on the wall, behind the scenes footage as well as some footage that doesn’t appear in the film nor anywhere else on the disc. Filming went nice, but once the film was given to Universal, Carpenter was out. The film was reedited in the wake of the Oklahoma City bombings. Despite everything, Carpenter likes the finished version and everyone had a good time working together. how hated this film is, and I am happy that they were able to get so many people who worked on the film to sit down and talk about it. I hate to say it, but this is run of the mill doc for Scream Factory. Not saying that as a bad thing, but we have become a little jaded from the work that they put into these extras. Horror’s Hallowed Grounds (20m 58s, HD) Sean Clark gives us a look at the filming locations. Peter Jason talks about the films that he did with John Carpenter, starting with Prince of Darkness in 1987. He has lots of stories to tell and tells just about all of them. He goes through each film and talks about his involvement them. He talks about how Carpenter wanted his car for the film Body Bags, but didn’t want Jason. Jason got in front of the camera anyways and had a great time with his “role”. He also talks about an argument that Carpenter and Christopher Reeves has on the set on Village of the Damned. He said that there was no screaming or yelling, just talking and resolving. The interview is long, very long. Jason seems like a really nice guy, but his stories go on forever. I think that this featurette would have benefitted from some editing. Outside of that, the stories are great. Packaging: The first thing we see with this Collector’s Edition is the slip sleeve. The artwork on the sleeve is very nice and stands out. Taking off the sleeve reveals the same artwork underneath that can be flipped around to show the original theatrical poster. The case is a standard case that is, thankfully, not an eco case. The disc has the theatrical poster art work on it. Overall: During the 90’s John Carpenter had a streak of mediocre to bad films. He had just come of a hot streak that lasted from 1976 to 1988. Village of the Damned was a film that Carpenter didn’t plan on making and I think that it shows. We get the usual Carpenter flourishes and his steady camera and nice composition, but the script is weak and the casting is as well. I want this film to be good each time I have watched it, but it is just ok. 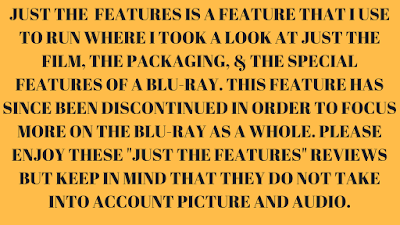 The special features are pretty good this time around. 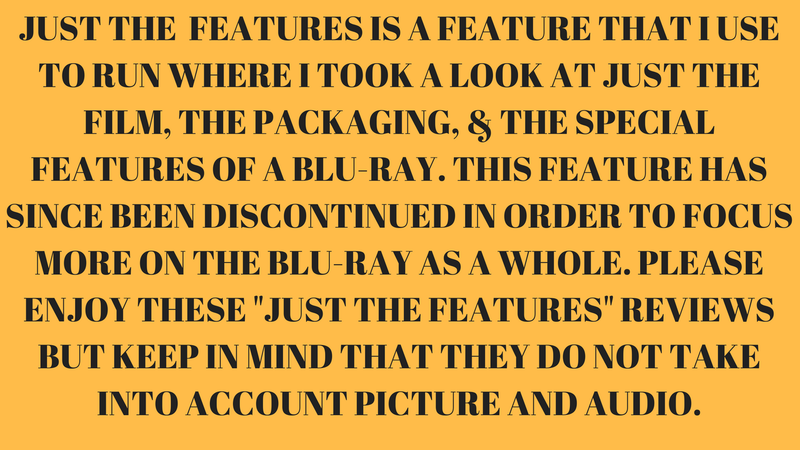 The featurette is good and has a lot of information to give us. Sean Clark is back to give us another round of the Hallowed Grounds. I still can not get into this show. I appreciate all the hard work that Clark does, but I just don’t like the presentation. I am still trying though as I can see that there is potential. The interview with Peter Jason is good, if not a little bit too long. I wish that Carpenter has sat down for a commentary track because I have a feeling that he won’t be able to if given the chance. The features are good, but there could have been a little bit more.